Chili's Restaurants celebrated its 40th anniversary at the 2015 Annual GM conference. Smith Design and Mark Bellncula pulled together a diverse team of animators, documentarians, and editors to create a documentary chronicling the last 4 decades, titled "40 Years in 40 Stories". 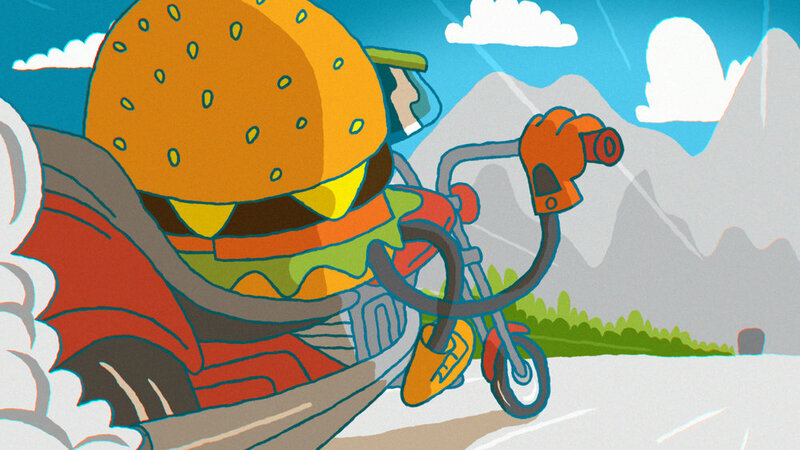 Invisible Element was tasked with creating and animating this segment highlighting Chili's Big Mouth Burger. Chili's Big Mouth Burger was one of the most popular items on the menu for 9 straight years. 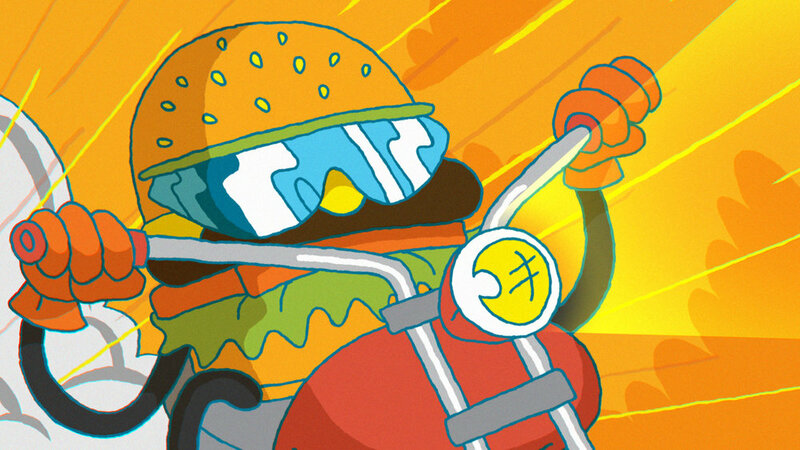 The art direction takes inspiration from early 90s Saturday morning cartoons - is there a better way to bring an anthropomorphic motorcycle-riding cheeseburger to life?